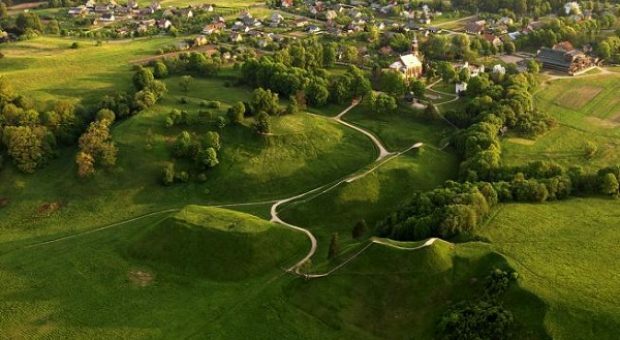 Kernave is the first capital town of Lithuania – it fits into a tiny piece of land, but is famous in the world for five mounds situated next to each other. If all local mountains and rivers, roadside rocks and trees would start talking one day, they would disclose many secrets and mysteries of our history. You will never find such a unique view anywhere else in the entire Baltic region. Kernave is a nice place for romantic minded people who come here for welcoming the sun, listening songs, looking for the most beautiful areas of the world, and also archaeologists who come here to find the traces of ancient settlements, medieval city and cemeteries of Lithuanian ancestry. We invite you to visit the area listed in the UNESCO World Heritage. Once a year Kernavė turns into a medieval town and attracts thousands of visitors from Lithuania and neighbouring countries. If you encounter this crowd in Kernave, you will know this is a spectacular event of the Live Archaeology Days in Kernave. They are a great history lesson for young and old generation. 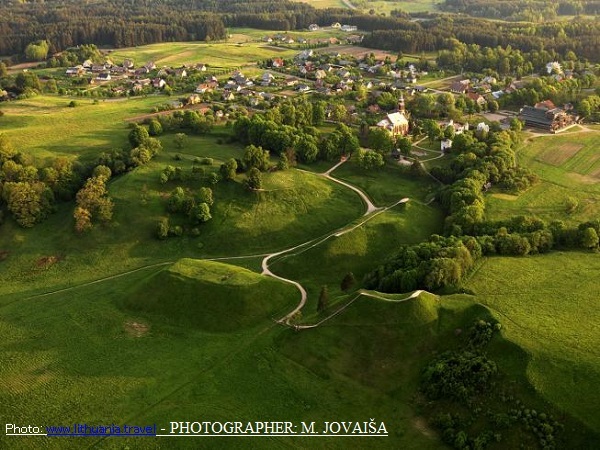 Bearded residents of the old capital city of Lithuania, wearing ancient clothing and animal skins tells us how people used to live in stone or bronze age, what they did, what they ate and dressed. You can browse through the history during the festival and see the creation of various flint, bone, iron tools, try to shoot a bow and make fire in the ancient way, and taste the archaic food. During the festival day the city square is bustling with battling knights, wandering musicians, merchants coming from abroad, vagrants, and transgressors who are tried in the courts of the Middle Ages, followed by sentences begin carried out by executioners. All this is hard to describe in words – you need to see it for ourselves. So you are very welcome to the town of mounds, festivals, peace and bustle – Kernave.